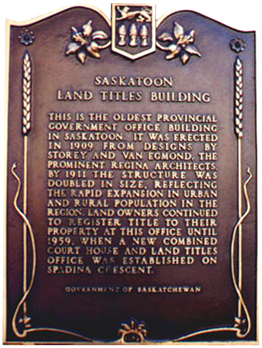 The Land Titles Office was originally designed by the Regina firm of Storey and Van Egmond. Construction was completed in 1909 by Smith Brothers and Wilson. The Romanesque Revival building was expanded in 1910-1912 by two thirds its size by adding additional east and west wings. 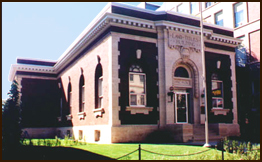 The original use of the building was the Land Titles Office and then in 1959 was transferred to the Law Courts Building and used by a number of Provincial Government departments. In 1985 311-21st Street East received Provincial Heritage Property designation. In 1994 Mark Brayford and Dan Shapiro purchased and restored the building to its original splendor with the help of architect, Darrel Epp. 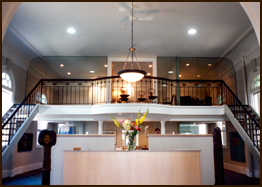 When completed they relocated their law offices there. 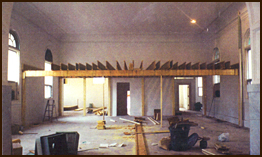 removing the false ceilings they revealed majestic, arched windows. refurbishing and copying the composition of the old building, it has maintained its original characteristics. The design incorporated a beautiful 120-square-metre mezzanine, with a replica of the original handrail leading to the boardroom. 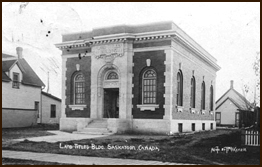 In 1996 Dan Shapiro and Mark Brayford were rewarded for their efforts in keeping a piece of our heritage alive, by receiving a "Sympathetic Renovation and Restoration" award from the City of Saskatoon and a "Vintage Building Award for Adaptive Re-use - Community Landmark", from the Saskatchewan Architectural Heritage Society.